very little hop aroma in the nose, malt forward instead. 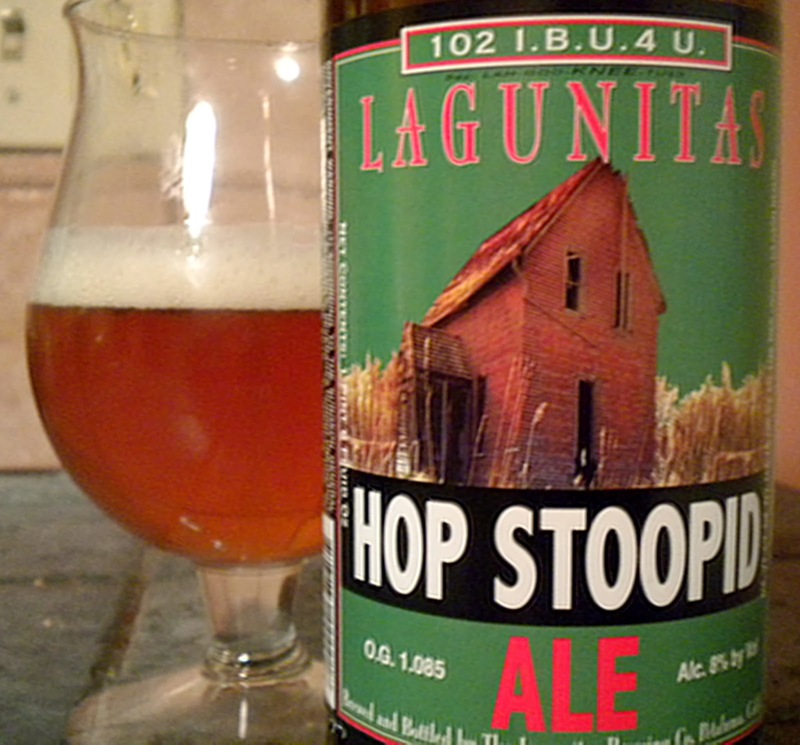 Medium bodied, malt flavors very present, but balanced with English Magnum, Boadicea and Sovereign hops. Very refreshing and easy to drink. One of the new IPAs for me. aroma, very dry across the palate and in the finish. Slight bitterness in the finish but that comes with the territory. One of my personal favorites. 3. Foothill Jade; 7.4% ABV. Another new one for me and a new personal favorite. I liked this one a lot. 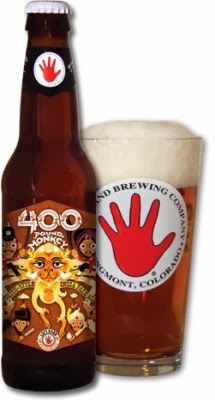 Highly hopped with Pacific Jazz, a New Zealand hop then dry hopped with Cascade and Citra, this beer had a creamy body and rich, even sweet malty flavor to balance the intense piney, citrusy hop character. A winner. Not available in bottles, so no pic of this one. 4. 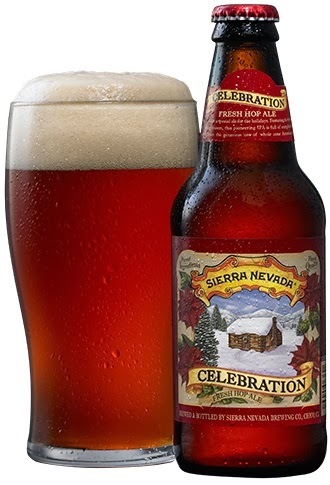 Sierra Nevada Celebration; 6.8% ABV. 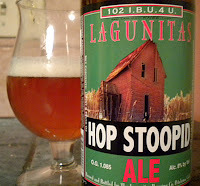 One of the elders of American IPAs, brewed since 1981. This beer was chosen for its "fresh hopped" character which uses whole flower Cascade, Centennial and Chinook hops added to the wort during fermentation. Aroma has hops but not overpowering considering the amount used, medium, creamy body with dry finish, but again, not over powered with hops, but very satisfying to us hop heads. disappoint. Very hoppy in the nose, spicy aroma from the use of whole flower Citra, Chinook, Simcoe and Mosaic hops. A treat for serious hop lovers, like me. Medium body, dry, spicy finish, no alcohol heat that I noticed, very well balanced and drinkable. Will have this one again for sure. meaning higher gravity and alcohol. 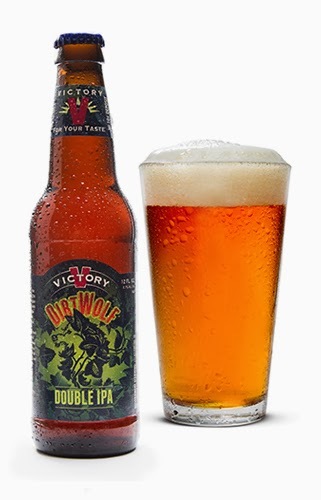 Hoppy aroma leads to medium bodied, semi-bitter flavors with the usual dry finish. This is a classic West Coast style and probably is not for the faint hearted or those just starting to appreciate very hoppy beers. Very rewarding tho, when you finally get there! As the evening class came to a happy (hoppy?) close, it was clear that the IPA category covers a wide range of tastes and styles (didn't even mention Black or Rye IPAs) so there is certainly "something for everyone" if they are willing to expand their beer horizons and embrace newness. Sounds like me!